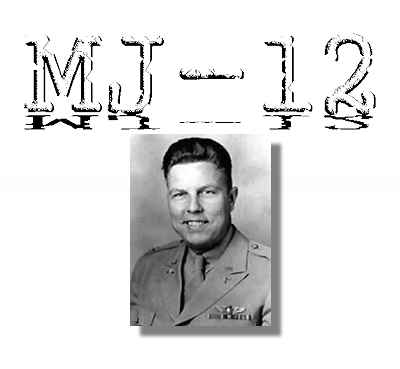 There is another aspect to this MJ-12 nonsense that hasn’t been mentioned and that is Colonel Howard McCoy. Here’s the situation we find ourselves in. In the early 1940s, McCoy was involved in the investigation of the Foo Fighters. In 1946, McCoy was pulling records and observing the Ghost Rockets in Scandinavia and in late 1946, he was tasked with setting up an unofficial investigation into these “aerial phenomena.” And finally, in September 1947, McCoy was the man who drafted the letter signed by Lieutenant General Nathan F. Twining in which it was concluded that the phenomenon was something real and not illusionary. In other words, McCoy had been heavily involved in the investigations from the very beginning and he was the subject matter expert. When this committee was organized, it involved people who were at the top of their fields and who could bring specific expertise to the research. Twining is on the list but Twining wasn’t all that familiar with the situation as it had been delegated to subordinates. He relied on one man and that man was Colonel Howard McCoy. He was the top officer involved in the research, he had the files, he had the resources and he was running the unofficial investigation into what had become the flying saucers. McCoy should have been on the list. He probably knew more about any of these things than any other officer in the United States military. He held the highest of security clearances, and he would have been involved in the investigation of the crash at Roswell. There would have been no reason to exclude him, especially when some of the other members of the MJ-12 had no real knowledge of the situation and whose expertise wasn’t all that relevant to the research. For those studying the situation in 1947, meaning here, looking at who was where in the government and the military, and what would be said about MJ-12, there are some names that are absent. Where was General Eisenhower, for example? He was the Chief of Staff of the Army. And where was Carl Spaatz? He was the Chief of Staff for the Army Air Forces in 1947. These two would have been involved simply because the information about the Roswell crash would have worked its way up the chain of command. They would know what happened and both controlled assets that would have been valuable to the research to be conducted. But again, the man they would have asked was McCoy. He had been involved for four or five years when these aerial phenomena were considered an enemy weapon and the need to learn more about them was critical. While the situation had changed with the end of the war, it became critical again with discovery of the craft at Roswell and McCoy was the man who would have been in charge of exploiting the find. His role would have been the most important and yet there is no indication of McCoy on any of the MJ-12 documents or anywhere near it. And the answer is that no one had realized what his role had been until I was able to outline this in Government UFO Secrets. McCoy had been in the background of the investigations and wasn’t as high profile as those named. Those who created the Eisenhower Briefing Document didn’t know him and therefore couldn’t name him. Had they had that information and included McCoy, it would have gone a long way to establish the authenticity of the documents. But, this is just one more problem with the original MJ-12 documents. They didn’t have the right names included on it and that might be the result of those who created it being unaware of high level chains of command, especially in Intelligence community. Their research was good, but not great. They missed a big opportunity because they didn’t know about McCoy and this is just one more example of the problems with MJ-12. The MJ-12 documents have been debunked in one way: a 1960s typewriter was used to create documents that supposedly were from the 1950s. Well, someone who wanted to copy those documents in the 1960s may have had only that typewriter available to do so.